Safety Boots There are 21 products. 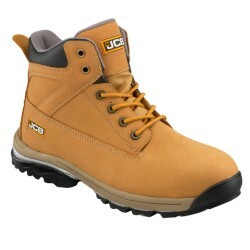 A full grain leather, tan JCB workboot, with steel midsole and toecap capable of providing up to 200 joules of protection. 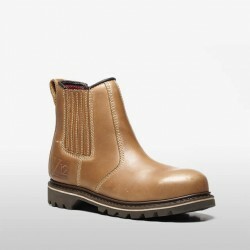 A fully fur lined rigger boot with steel midsole and a stylish but hard wearing Tan upper. 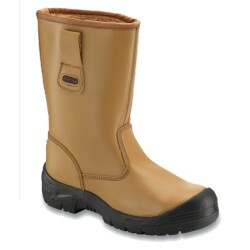 Hoggs of Fife Tornado Safety Boots in Brown is available from Size 7 to Size 12. 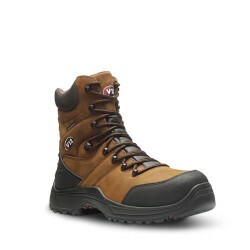 They are a full grain leather constructed safety boot. The JCB Workmax boot is a honey leather safety boot designed to provide full protection from drops and sharp objects thanks to it's steel toe and steel midsole. 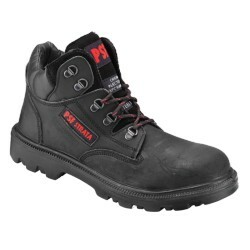 PSF Cat Holton Safety Boot in Brown available from Size 7 to 12. The Hoggs of Fife Safety Dealer boot is the best selling safety boot in the agricultural industry. 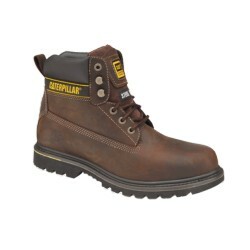 Full grain leather construction, oil resistant sole, this boot is everything you need from a safety boot. 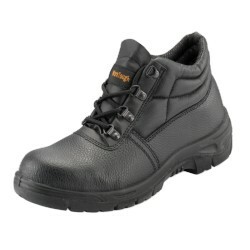 Hoggs of Fife Aquasafe Rigger Safety Boots in dark Brown available from Size 7 to Size 12.